When you first create an online store or an eBay store, you need to be organized, just as any business owner should be. Having good systems in place so that you can keep track of your products listed, sales made, and monies paid is imperative if you are serious about managing your store correctly. If you have several different products, or a large number of one particular product that you are selling, one of the most important things that you need to do is work out a way to effectively keep track of your eBay orders. That way not only will you be able to understand exactly how well your product is selling on the site, you can also ensure that you keep your customers happy by sending out their orders in a timely manner once they have paid you for them. So how do you stay organized after you have created your online store? Firstly it is important that you upload shipping and tracking information. This will please your customers as they will then be able to track the progress of their shipment. Buyers will be more satisfied if they can see exactly where their goods are, and what time they can expect them to be delivered. It also makes sense for you as a seller as if you use this effectively, you will know exactly which orders have been shipped, and which orders you still need to send out. This is a great way to receive great ratings through the eBay seller feedback tool - which will be imperative to your success if you wish to keep making money through the site. Another important benefit of uploading tracking and shipping information, as well as Delivery Confirmation is that if you have any issues where a buyer contacts you because they haven’t received their item, these have a much better chance of being resolved easily and quickly (and in your favor) if the tracking information is there, proving you sent the item out. This will help the eBay resolution center when it comes to making a decision and ensures your reputation as a good, honest seller remains intact. Of course, keeping track of your sales orders does not only benefit the buyer, it also benefits you too. When you create an online store, get everything set up, list your products and get going it is important to keep a thorough record of everything you have sold in order that you can keep track of your finances. If you are low to a medium seller than installing an app to manage your sales might be a good idea. Software such as Selling Manager is free and can be found already set up in your ‘My eBay’ account section. It has loads of useful features enabling you to monitor active listings, generate bulk feedback and print invoices and labels in bulk. 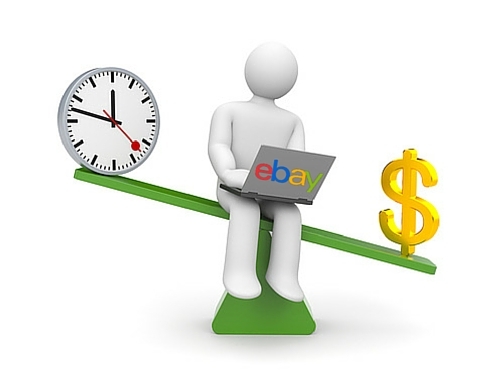 It will not only help you to effectively monitor your eBay orders but will also save you time and printing costs too. It enables you to relist multiple items (both sold and unsold) easily take a look at which post-sale activities you've completed by having helpful status columns, send feedback to different buyers at the same time, manage any unpaid items and final value fee requests, and you can also create handy email templates too. If you are serious about creating a successful online store and want to turn selling on eBay from a hobby into a small business then being organized and having effective monitoring systems in place to keep track of your eBay sales and orders is so important. Remember the customer is key, and having a good reputation on eBay with excellent reviews will mean customers will return to you time and time again.